Why does Tithe.ly ChMS include unsubscribe links? As per our Email Policy, all emails sent from Tithe.ly ChMS must include an active and working unsubscribe link that allows the recipient to remove themselves from your mailing list. We send hundreds of thousands of emails every month on behalf of customers. If people can’t unsubscribe, they may choose to report your emails as spam or move it to their junk email folder. As a result, Tithe.ly ChMS runs the risk of ending up on spam blacklists which in turn lowers our ability to reliably send emails on your behalf. Recipients may no longer be interested in receiving emails from you anymore and we believe it is ethical and a courtesy to allow them to unsubscribe without having to contact the sender. Although the unsubscribe text cannot be removed, you can reword it to your liking. To edit the unsubscribe text in emails, simply navigate to the Settings page, once loaded select Communication. 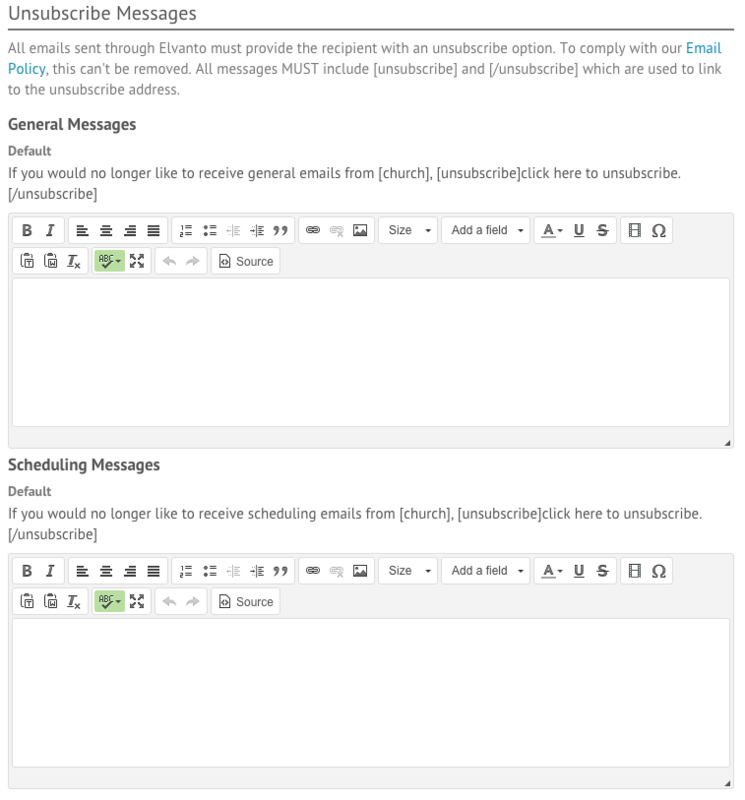 From here, you can edit the unsubscribe message for both general and scheduling emails.